the flag we have on display was retired almost ten years ago, after the dismantling of Apartheid. Heavily influenced by the flag of the Dutch East India Company, this symbol for the country included three smaller flags in the central white section: the Union Jack of Great Britain, the flag of the Orange Free State (in the center), and Transvaal Vierkleur, other elements intended to lessen hostilities within the country. 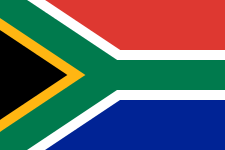 The new flag was adopted at the time of the national election in 1994, which was the first time in South Africa that its entire multiracial population was permitted to vote. Nelson Mandela won the election that year. For how many years was Nelson Mandela imprisoned on grounds of sabotage and trying to overthrow the South African government? This was a sad day for the Union in 1861. 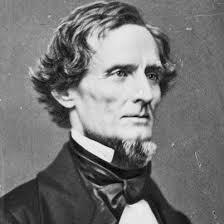 Although the separation between the North and the South had begun in December the year before with the secession of South Carolina from the United States of America, this was the day that Jefferson Davis was elected the first (and what would prove to be the only) President of the Confederate States of America. Hundreds of thousands of Americans gave up their lives in the effort to come to terms with the disagreements sparked by the issue of slavery, while Davis was in office. His election was for a six-year term as president; however, he remained in office only four years prior to the defeat of the south in the war. The longest-running television program in American history debuted on this day in 1947. Meet the Press is broadcast on NBC, and is currently the highest-rated Sunday morning talk/news program, sixty-six years into its existence. 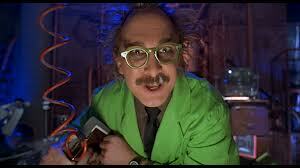 Today, we celebrate the birthday of Hilary Hinton "Zig" Zigler. Born in 1926, Zig was a popular motivational speaker and author. He published fourteen books during his long career, including Confessions of a Happy Christian (1978) and Born to Win: Find Your Success Code (2012), the latter published in the last year of his life. since moved on to Cinematic Titanic, which is equally fun but without the robots. People often say that motivation doesn't last. Well, neither does bathing - that's why we recommend it daily. - Zig Zigler.